Since 2005, Dior Christal has been cutting and encrusting sapphire crystal by hand into bezels and a strap in a marquetry fashion to create a theatre of lights that is re-enchanting watchmaking. Emblazoned with Diors’s emblematic colours (red, black, white and purple), equipped with a quartz (ETA), self-winding (ETA or Zenith) or hand-wound mechanical (Concepto Tourbillon caliber) movement, Dior Christal watches are as beautiful and immaculate inside as outside. 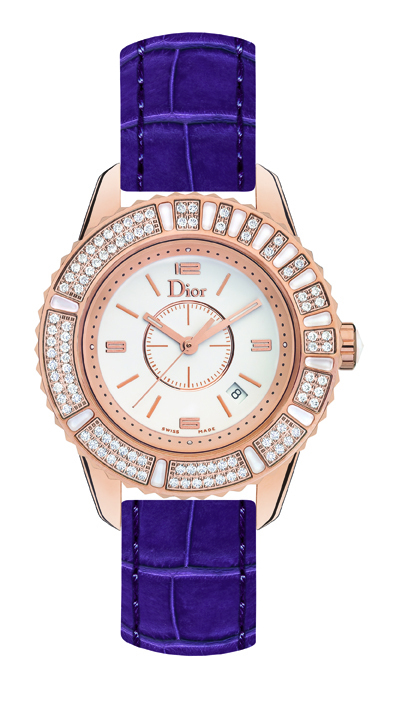 The new Dior Christal 8 Mother of Pearl displays 8 time zones simultaneously. It has Mumbai as one of the 8 time zones. 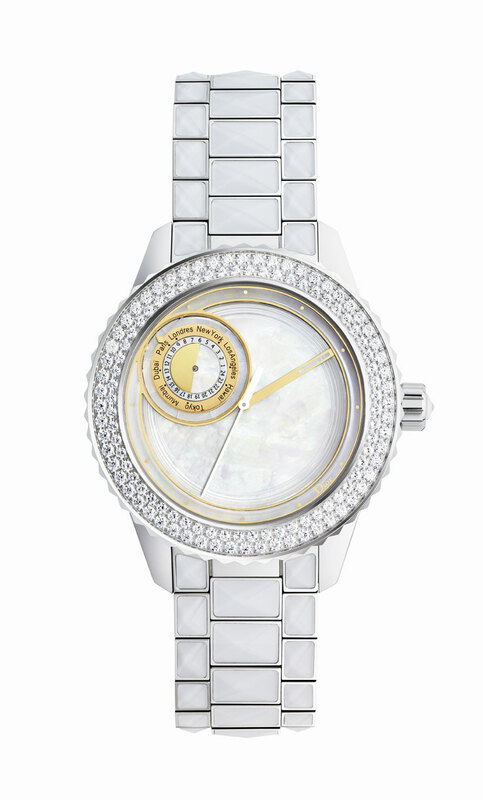 The grey and gold, timeless colour codes of the house are rewritten through the mother-of-pearl and the gold metallization of the dial .This timepiece is treated as a jewel with the precious materials in hues of grey, white and gold and with the satellite effects(the back of the dial completes a full tour in 12h, the disc which indicates the 8 time zones in 24h) . 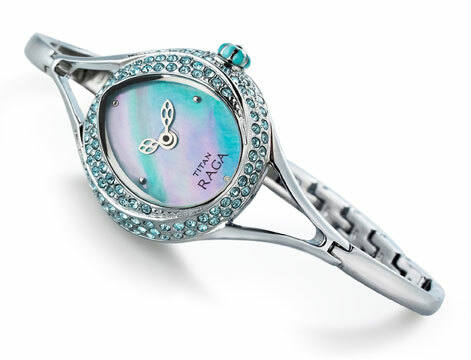 The Couture finishes where the inside is as beautiful as the outside: the carefully crafted case-back reproduces the pattern of the dial and combines a gold oscillating weight with precious stones and mother-of-pearl marquetry. Price: Rs 9, 30,000. 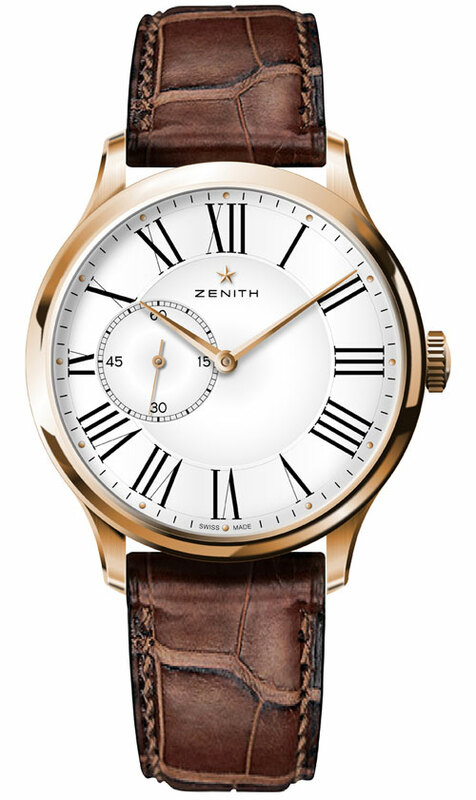 Available at Johnson’s Watch Co, K- 15, Connaught Place, New Delhi and Watches of Switzerland, 231, Link Corner Building, Shop no.2, Linking Road, Bandra(W), Mumbai. Inspired by the 70’s, La D de Dior was born in 2003 with the tag line “A woman who decides to wear a man’s watch so that she is always thinking of him.” Its classical shape, reliable materials and movements – quartz or Zenith hand wound mechanical wowed one and all. 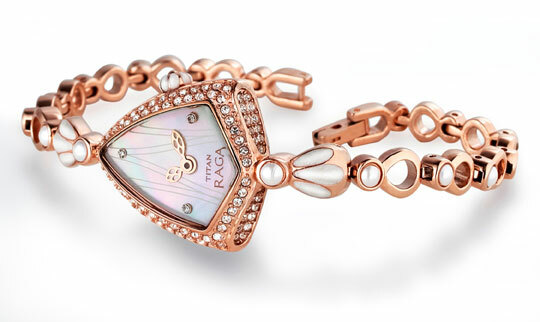 The watch’s cheerful style, precious stones, noble and eternal metals and lacquered finish are marked by the poetic signature of Dior fine jewellery. La D de Dior has a dual personality in its present avatar. 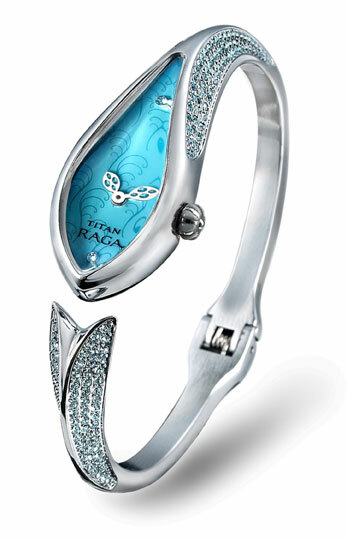 In mini (19mm) or maxi (42mm) versions, it playfully revisits the Haute Couture taste for fairytale volumes. 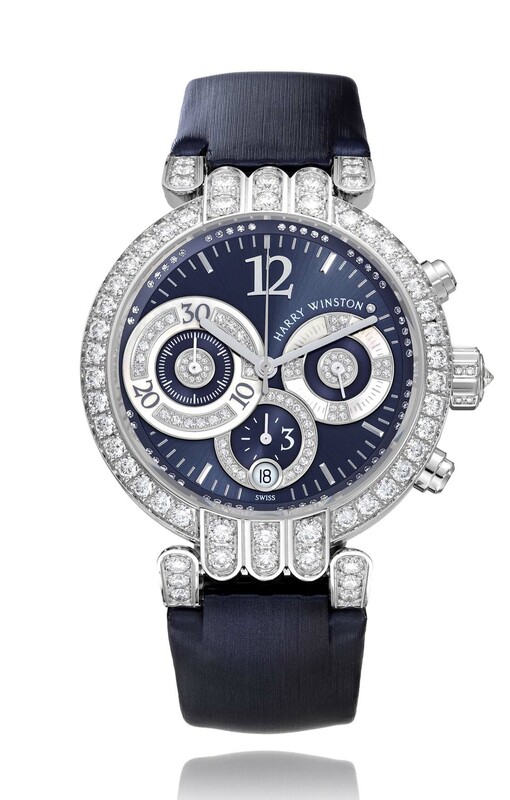 And when it adorns its dial with panther motifs in sapphires or diamonds and black lacquer, it does so in tribute to Mitza Bricard, Christain Dior’s elegant muse. 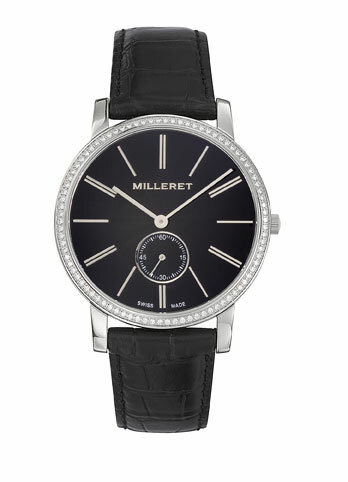 Dior watchmaking also draws its inspiration from the concept of refined and elegant Couture clothes being as beautiful on the inside as on the outside: such as, for example, the faces of the dials on the cases with their intricate graphic work and tinted sapphire glass that reveals the hidden luxury of the Dior Christal and Chiffre Rouge automatic movements. 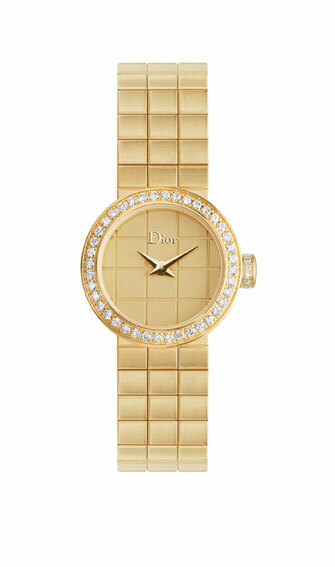 Price : La Mini De Dior ( steel strap with diamonds Rs 1,478k and La Mini De Dior (gold bracelet with diamonds) Rs 9,30k.